Though I might not write about family travel, I definitely know that families deserve a memorable vacation. Recently I received a notice about the ‘Get AWAY to Get Closer’ contest presented by Budget Travel and Go RVing and thought it would be neat to share. 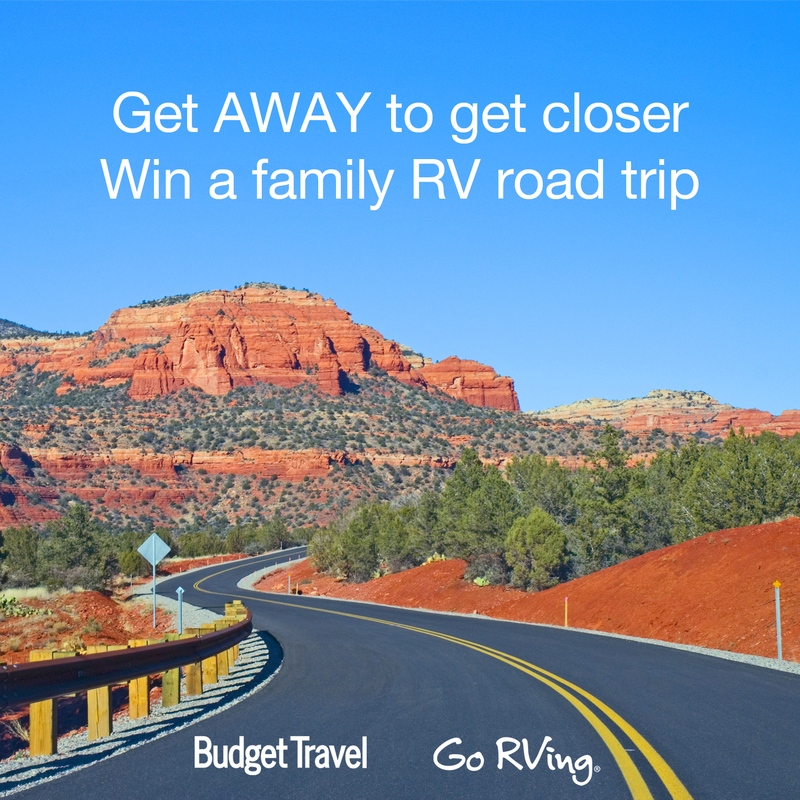 ‘Get AWAY to Get Closer’ will give away the use of an RV for one week, a GoPro camera for recording your trip, $750 for spending money, and a custom itinerary put together by Budget Travel’s expert staff. You and your family also might get a plug or two on Budget Travel as your adventure will be featured in blog posts. Now here’s what you have to do. To enter the contest, visit www.budgettravel.com/contest and submit a video of 2 minutes or less by 11:59 p.m. by May 29, 2015. In your video, share your idea of a great American RV road trip adventure and why you and your family deserve to win one. On June 8, 2015, Budget Travel will announce the top 5 video submissions and post them on their website, where the public will be able to vote for their favorite video. The entry with the most votes cast by June 29, 2015 will be chosen as the winner. Complete rules and regulations can be read here. Follow the contest on social channels by using the #BTGetAway hashtag. Good luck. This entry was posted in Travel Contests and tagged Budget Travel, family travel contests, family travel giveaways, Go RVing, travel contests; on May 8, 2015 by She Is Going Places.